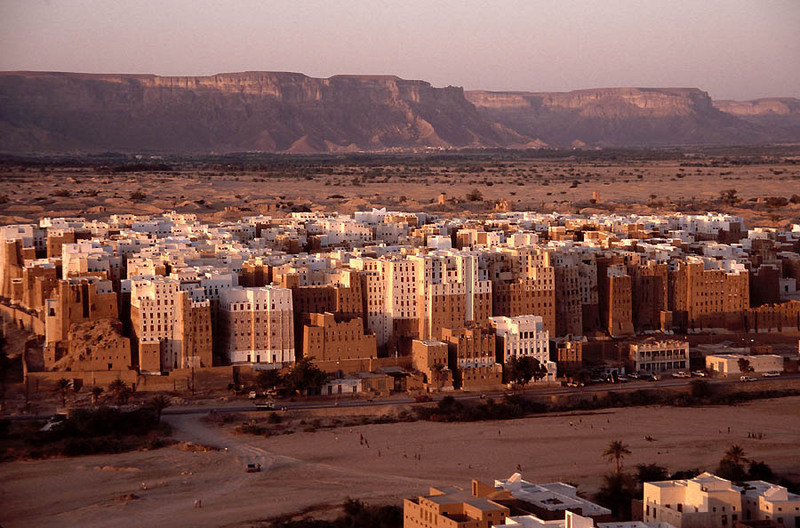 Yemen is on the southern coast of the Arabian Peninsula. 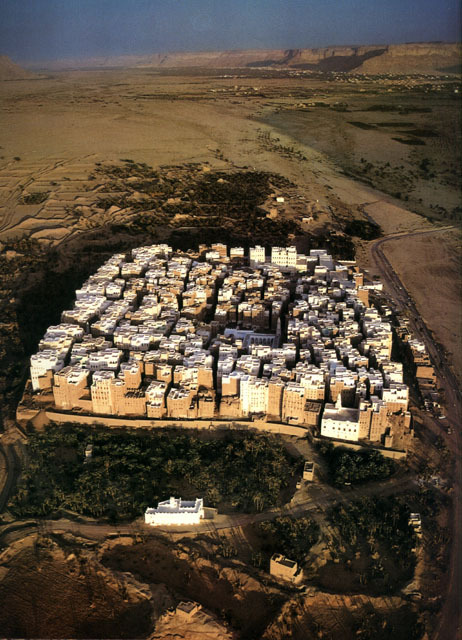 The city of Shibam is characterized by numerous mud-brick buildings huddled closely together. Many high-rise buildings were built like this to protect it from Bedouin attacks. A defensive wall and two city gates protect the city. Clusters of five to eight storey buildings stand closely together in a small area. Some of the houses are linked by mid-air corridors. People can quickly move between the corridors, shifting from one house to another and fighting back when attacked by enemies. Wooden window frames fitted to mud-plastered walls are carved in an arch-shape. The history of Shibam dates back to the 3rd century. However, the buildings which remain today are mostly from the 16th century. But how did this city attain so much wealth that people had to fear and prepare for enemy attacks? The secret lies in Frankincense which is still sold in the town. A bucket is being lifted up ... for house repair work. Earthen walls need to be re-plastered every now and then after erosion from wind and rain. These craftsmen are making bricks. The bricks become gradually smaller for the higher floors. Which means the building walls gradually become thinner, forming a trapezium shape. The walls are thinner on higher floors to reduce the pressure on lower floors, making the building strong and stable. Each building is usually occupied by one family which uses the 3rd floor up as its residence. The 1st and 2nd floors are often used to store food and as a stable for livestock. People kept cattle inside their homes to live through times when the town was under attack. The earthen houses stay cool inside despite the heat outside. The aroma of Frankincense filling the room creates an exotic atmosphere. 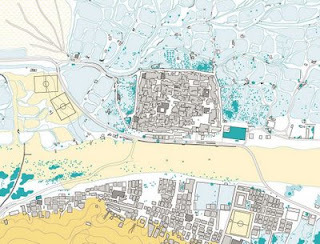 In the Manhattan of the desert, people live in a state of timelessness."